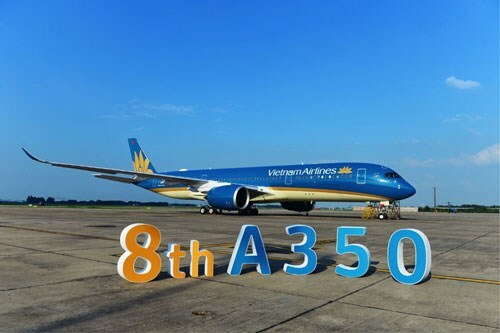 Hanoi (VNA) – Vietnam Airlines has revealed that it has received the eighth of the 14 Airbus A350 aircraft it has ordered from Airbus. The A350-900 landed in the Noi Bai International Airport in Hanoi recently and made its first commercial flight from Hanoi to Ho Chi Minh City on August 21. Since the airline received the first A350-900 in July 2015, its Airbus A350 fleet has made more than 8,000 flights carrying some 2.2 million passengers.